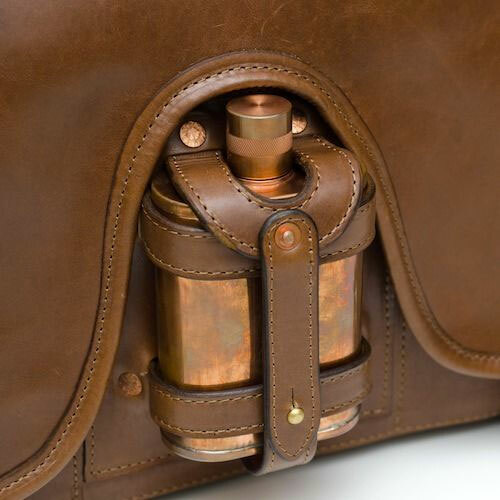 Is it OK to bring a flask of whiskey to work if you're carrying it in a case as luxe and beautiful as Jacob Bromwell's Arcanum Leather Messenger Bag? What about to jury duty? Through the TSA line? I think yes. Absolutely to all three. But how about you test out the theory and let me know what happens? Jacob Bromwell, in collaboration with All American Clothing Co., has created a messenger that pays due respect to the one piece of EDC other bags always seem to ignore: your flask. 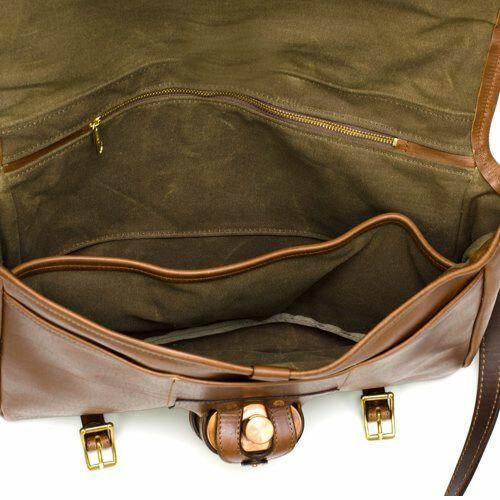 Front and center on the rich leather carrier is a strapped cage to snap in your Jacob Bromwell flask, accented further by an arcing cutout in the Arcanum's front flap that ensures everyone can see your fine swigging sidekick even when the bag is closed. The Arcanum Leather Messenger Bag is named after Arcanum, OH, the city where 10 hours of by-hand handiwork work to create each bag. Dimensions are 15" x 11" x 5". 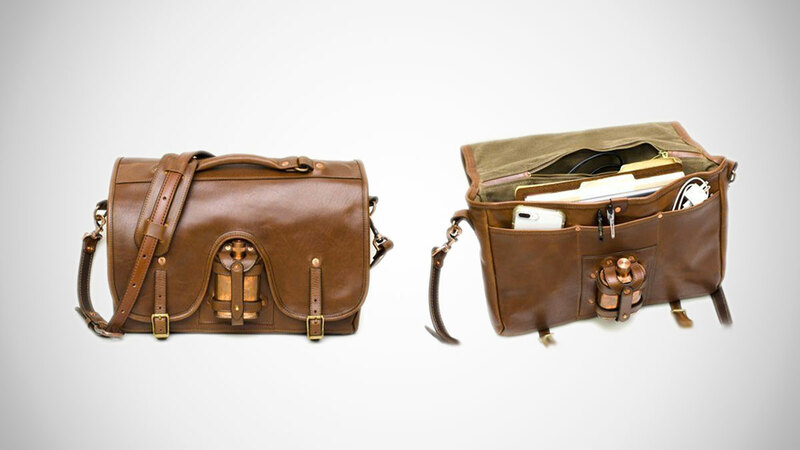 The Arcanum Leather Messenger Bag is a limited edition release. At printing, it was available for pre-order at a $200 discount. Shipping will begin in November 15, 2018.